It has always been said that music is the soundtrack of our lives, and is something that people all across the world have in common. We want to be able to listen to music wherever we are, no matter what we are doing. It used to be that we would have to lug around big radios, or kill the battery on our cars to listen to music outside. This is where Bluetooth speakers, like the Ultimate Ears Boom 2, come into play. These speakers allow people to listen to music wherever they want. One of the most difficult places to get a great sound, is outside. Bluetooth speakers allow people to be able to get a great sound even when they are working in the yard, or on a roof while they are at work. There are many speakers out there on the market, and in this article, we are going to examine the Ultimate Ears Boom 2. We will look at all the great aspects of this speaker, and some other options in the same price range, to give you an idea of how this speaker stacks up to others. There are lots of things to consider when shopping for the right speaker. There are certain qualities you will want in a Bluetooth speaker. You will want a speaker that is easy to carry around with you. Most importantly, you are going to want a speaker that has a great sound quality in all the various ranges that a song will go, and great bass to go along with that. 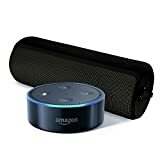 A Bluetooth speaker, is a speaker that can be linked with a device, like a phone or a tablet, and serve as the speaker, to provide better and more portable sound. The speaker we are examining here, is a speaker that is going to do the job, and is one of the best on the market. It is a great speaker that is going to provide the user with all the great qualities they could want, and more. The Ultimate Ears Boom 2 is a speaker that shoppers should definitely consider taking a look at, if they are in the market for a Bluetooth speaker for their outdoor fun. The Boom 2 is a great speaker, and has lots to offer a user. This particular model has upgraded all the things that could have been improved on from the original Boom. The overall design was not altered much except for a more durable, less porous mesh fabric around the speaker. Also, the controls remain almost unchanged, except for the omitting of the Bluetooth logo, and the port flaps that sit flush with the base. It offers a great 15-hour battery, just like the original which is a good length of time. The Ultimate Ears Boom 2 is no bigger than a large beer can, and it weighs about 1.2 lbs, making it easily portable, or carried in a bag. It has simple tap controls that can be used when the user is holding the speaker. One tap pauses the song, two taps will skip, and three taps will take you back to the last track. You will not miss a phone call, because it can be used as a speakerphone as well. A user can pick up, or hang up a call, by pressing the Bluetooth pairing button. This can really help when you are working in the yard, or on your car, and you don't want to pick up your phone with dirty hands. The Ultimate Ears Boom 2 also comes with a 2-year limited warranty. The Boom 2 offers a lot of great features that make it a great Bluetooth speaker. It offers 360 degrees of sound, and a slightly better sound quality than the original. Also, the original speaker was water resistant, and this one is fully waterproof for up to 30 minutes, before the risk of leakage sets in. So, if you accidentally leave it in the rain, you have nothing to worry about. This line of speakers has a companion app that can be used, which offers a lot of great features. Through the app, a user can turn the Ultimate Ears Boom 2 on and off, and control the equalizer as well. This app also offers a Double Up feature that allows users to link multiple Ultimate Ears Boom 2 speakers for great surround sound. It also has a Block Party feature that allows other people to play DJ. When the Ultimate Ears Boom 2 was originally released, it was priced at around $$$. Now that some time has passed, it is costing in the range of $$$. It can be found at online retailers such as Amazon and eBay, and through the manufacturer's website. It can also be purchased at retailers like Best Buy and Target. It all depends on what the particular retailer has in stock. It is fully waterproof, so it is great for outdoor use. It is a great choice for those who live an active lifestyle or use it for working outside. It has great 360 degrees of sound production for a lot of great sound out of a small speaker. It is commonly ranked in top choices for its quality and volume. The App adds a lot of great features that users can use for a great listening experience. These features make it a lot of fun to use. It is a very durable speaker that is easy to throw in a bag and take wherever the user wants it to go. This is a great speaker that was found on Amazon for at the time that this article was written. It is a great speaker that has a comparable sound quality to the Boom 2, and is waterproof as well. It does offer a 5-year limited warranty from the time of purchase, and a 20 hour battery time. And it is just as easy of a speaker to use as the Boom 2. There are some things that allow the Boom 2 to stand out on its own. The Charge 3 is much heavier than the Boom, which makes it much less portable, and its sound is directional, not 360 degrees. It has exposed woofers on the end of the speaker which can be punctured, if you put it in your bag for the day. Finally, it is not as durable as the Boom 2 for outdoor use. It has a great sound quality for a speaker of its size. It is fully waterproof to help with those "uh-oh" moments. It has a battery life of 20 hours. Anytime a charge can last for a long time; it is always helpful. Although the sound quality is great, it is directional, and is not 360-degrees. It is not as portable, because it is a heavier unit than the Boom 2. It is also not as durable. The woofers on the ends of the speaker can be punctured if someone puts it in a bag, or purse, and the user isn't careful. This is a great speaker in the Out of stock price point (that was the price at the time that the article was written). It is easy to use, and it has a great sound quality due to a top of the line audio technology. It is also a great size to be able to throw in a bag for on the go use. It is not the loudest of the speakers, but the sound is crisp CD quality. 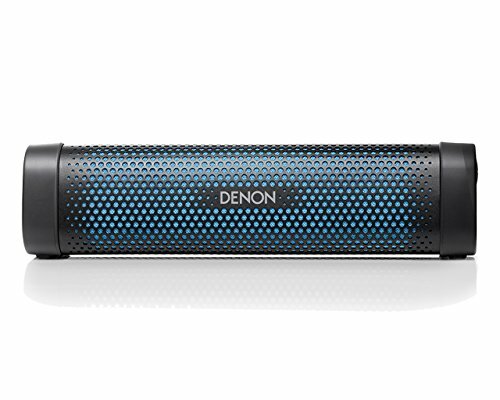 Denon also offers a 2-year limited warranty on the speaker. Although it is a good option, there are certain qualities that make others a better option. 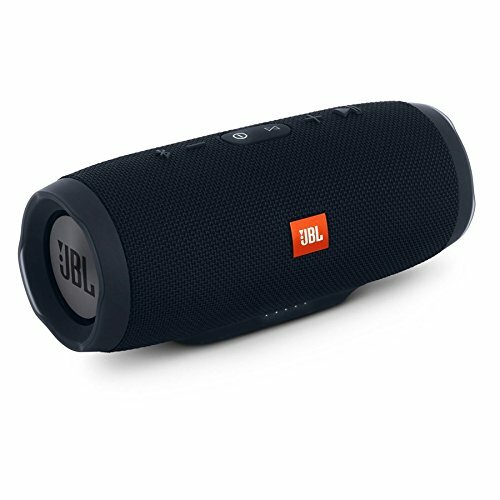 The battery life is only 10 hours on this one, in comparison to the 15 and 20 for the Boom 2 and JBL, respectively. It is only water resistant, and is not waterproof like the others. Also, the sound is directional, and is not 360 degrees like the Boom 2. It is a great size and design to take on the go. It has a shorter battery life in comparison to other speaker models. The directional sound allows for distortion if the user doesn't place it properly, or uses it outside. It is water resistant. There are other great options within this same price range that are fully waterproof. 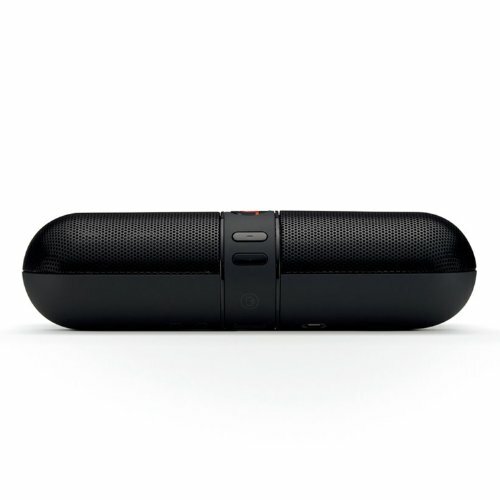 The Beats Pill was found on Amazon for at the time this article was written. It has been reviewed to be not on the same level as the Charge or the Boom 2. It is just as easy to use, and the design is well laid out, but the sound is not of equal quality, and it is not waterproof like the others. It puts out directional sound like the Charge, but is not 360 degrees like the Boom 2. It only offers a 1-year limited warranty. This speaker runs at the same price point, but it does not offer the same quality. It is not of the same durability either as the other two speakers. It was reviewed by customers that buyers are paying for the name of this speaker, and not so much for the features that you can get with other models of the same price point. It is a speaker that is easy for a novice user to figure out and use with ease. It is only water resistant and not waterproof. It only has a battery that has a 10-hour capability. The sound is directional and not 360 degrees. This is okay for use in a single room, but not the best choice for using outside while working, or hanging out. The final verdict for this product is a 4.5 out of 5 because nothing is perfect. This is one of the best options for people with active lifestyles, who want music to accompany it. It is great for outdoor settings, because of how loud it can go, the 360 degrees of sound, and the waterproof feature. It is well made, and can handle the punishment that it may take, while being used in a variety of environments. The companion app also makes it a lot of fun to use with friends or at a party. The design of the Boom 2 looks great. It eliminated the right things and tweaked the things that needed to be tweaked. Many times, when a company puts out another product of a line, they are very different, and sometimes unrecognizable as the same type. They made the right changes in the sequel that customers wanted, in comparison to the first one. Because of the Double Up feature, it is a great speaker to add to the collection, if the user already has the original. Many shoppers wondered if they should replace it, but buying it as an addition, is a better way of looking at it. It can create a great sound in any area, whether indoor sound or a fun outdoor atmosphere. It is great for people who are going to use it in difficult areas, or places where it may fall or get wet. Ultimate Ears Boom 2 wireless Bluetooth speaker is a waterproof device that provides 360 degrees of detailed sound production. It is also a durable media device that comes with an app for additional features. However, compared to its counterparts, it has a shorter battery life.